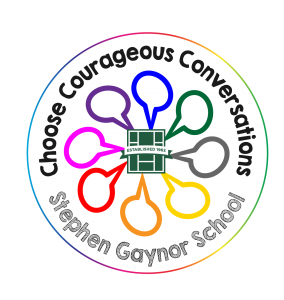 For the last two years, Gaynor’s community theme has been, “Be together, not the same.” Inspired by the tagline of an Android campaign, the theme exemplified Gaynor’s close-knit community. For the 2018-2019 academic year, it was decided to build on the strength and learning opportunities that came with “Be together, not the same,” and take it a step further. Check out this brief video (created by Ms. Book and Ms. Felt) that includes faculty and staff discussing what “Choose Courageous Conversations” means to them and how it will be important for the entire community throughout the year.